FCC Greatmoor What is an EfW? 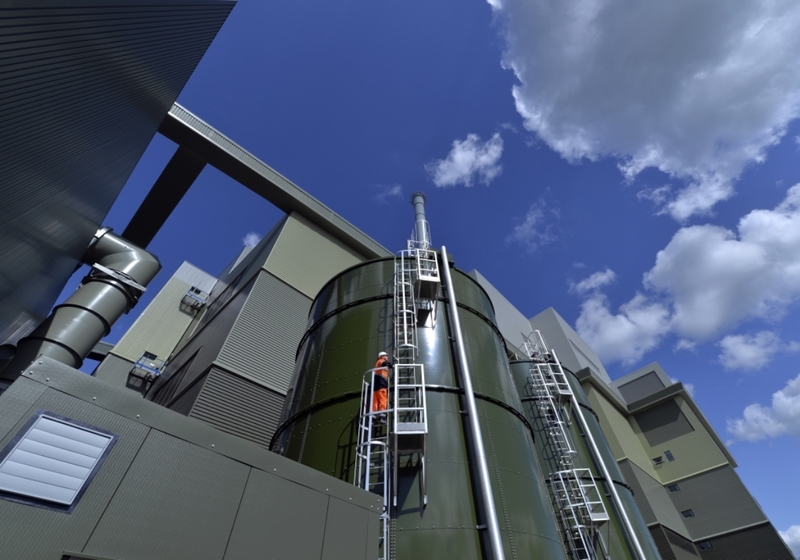 An EfW is a facility where non-recyclable waste is burned, with the resulting steam powering a turbine, which generates electricity. 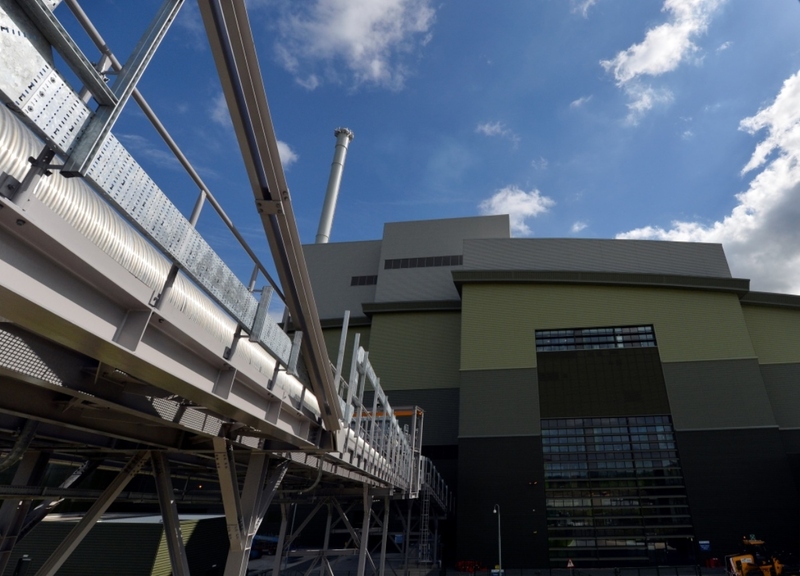 Some EfW plants are also able to provide direct heating for local properties. 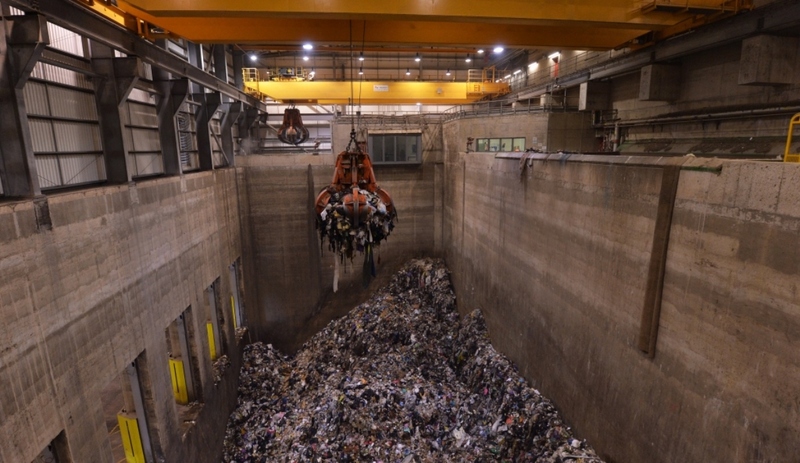 The waste going to an EfW would otherwise have been disposed of in a landfill site. There are generally two types of outputs, solid waste which includes metals and ash from the incinerator. At Greatmoor the metals are collected and recycled, while the ash still goes to landfill (but at a small fraction of the volume to that taken up by the waste). The other outputs are flue gases, which undergo a rigourous physical and chemical cleansing process (under the strict auspices of an Environmental Agency permit) before being released. 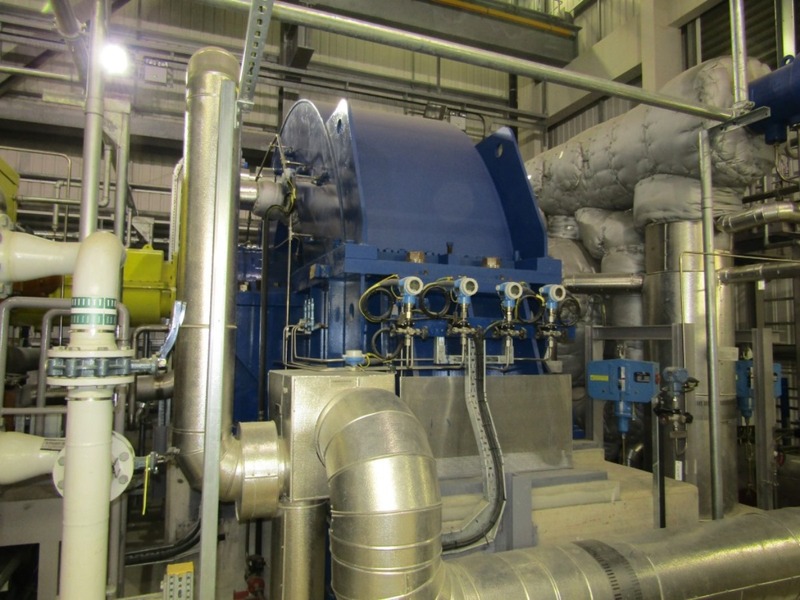 The steam powers the turbine and is then cooled before being fed back into the boiler. 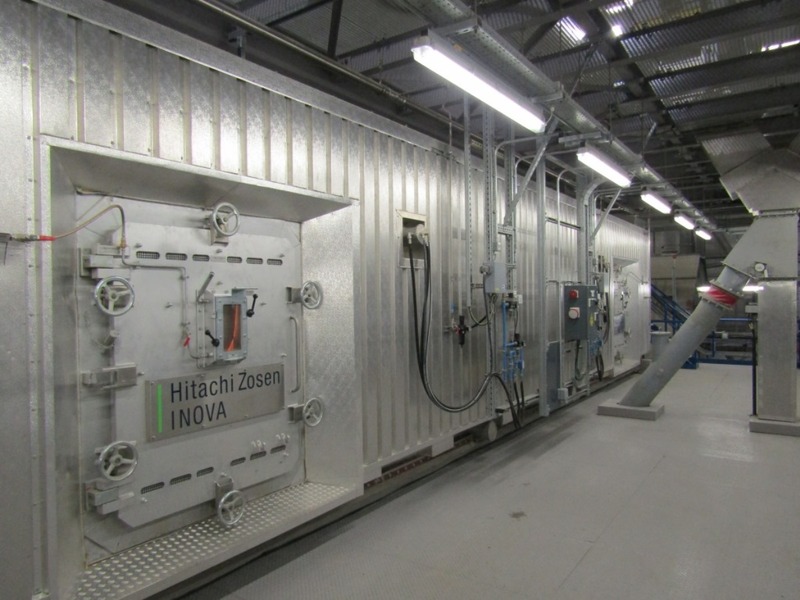 This is a brief overview of how an EfW facility works, however it is no substitute for visiting one and really seeing one in operation with your own eyes. Why not contact us to arrange a group visit or join us on an open day? On arriving at Greatmoor, the waste vehicles are weighed on the weighbridge, where the amount of waste they are carrying is measured, along with documentation checks to ensure that the waste they are carrying can be accepted. They then drive to the tipping hall and reverse up to a bay adjacent to the waste bunker. The waste is tipped into the bunker and the waste vehicle leaves, being weighed again on the way out. The waste is lifted from the bunker using a grab and is loaded into a hopper at the back of the grate. 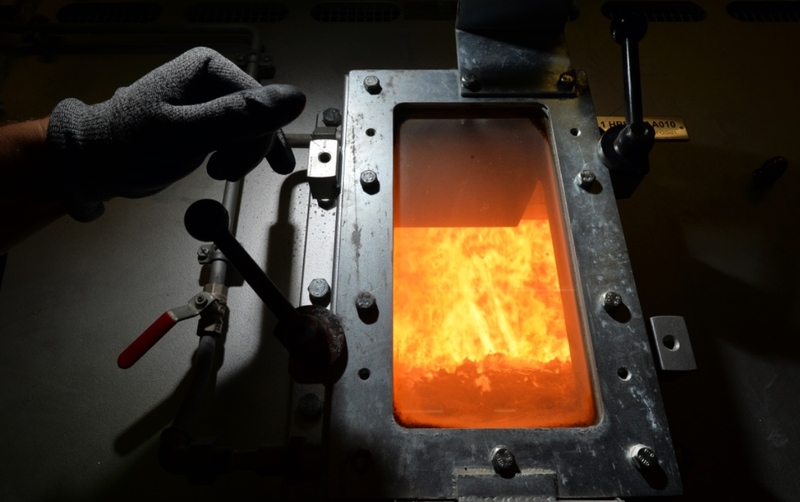 The grate is where the waste is burned, at a minimum of 850°C, combusting all materials except ferrous metals within a controlled combustion process. 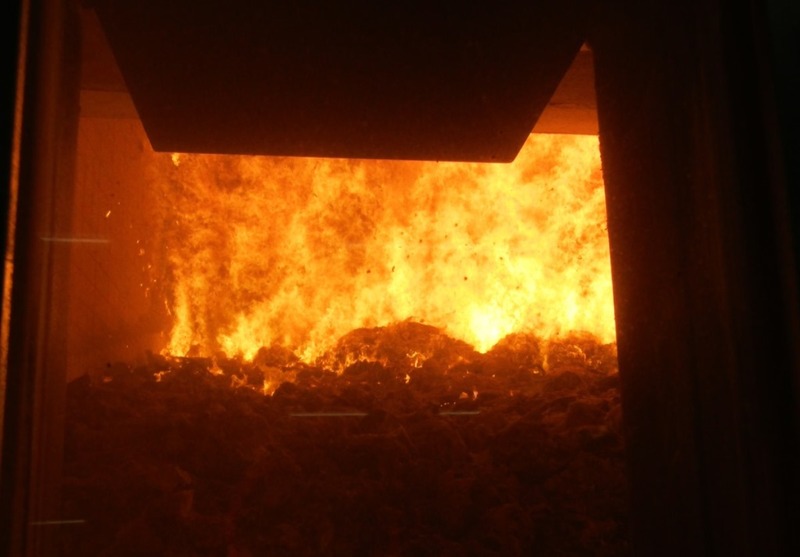 The ash that is created in the grate is known as Incinerator Bottom Ash (IBA). After burning this material is cooled down and the ash and metal are separated using magnets on the IBA Conveyor. The metals can be taken for recycling and the bottom ash used as an aggregate. Above the grate is a boiler, which contains water which turns to steam when heated by the hot flue gases. 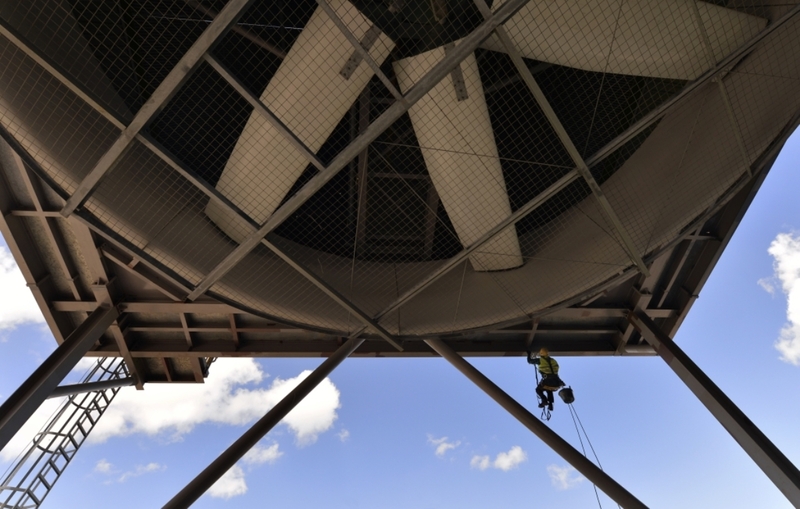 The flue gases are treated to remove toxins. They are passed through lime, ammonia and activated carbon and chemical reactions creating air pollution control residues. These are collected by 6m tall bag house filters and are then removed off site before further treatment. These gases are continually monitored and recorded to ensure emissions remain within limits set in the environmental permit. 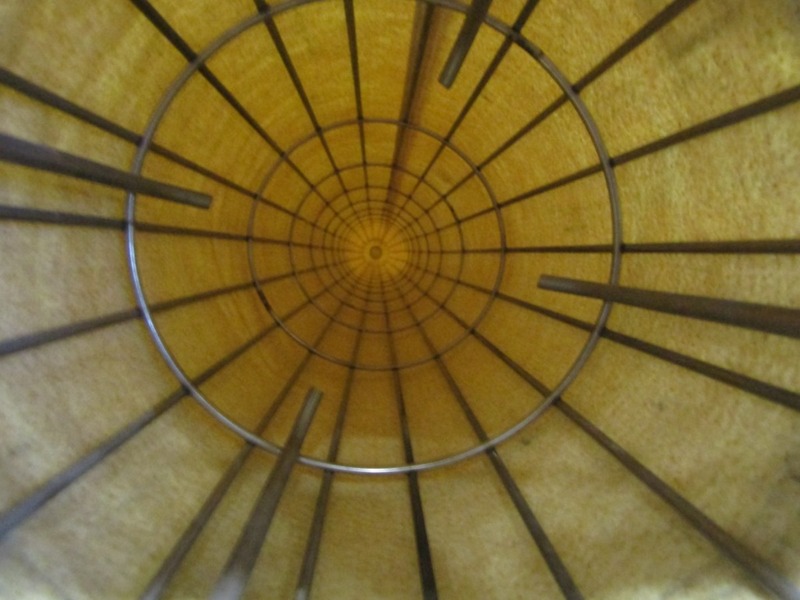 After treatment, the remaining flue gas, which is over 99.9% water vapour is released through the stack. 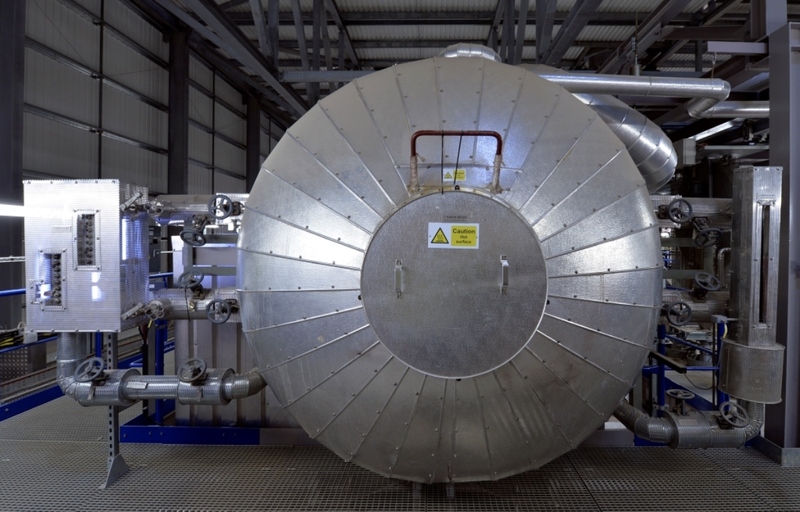 The steam produced in the boiler is pressurised and feeds the turbine as superheated steam. 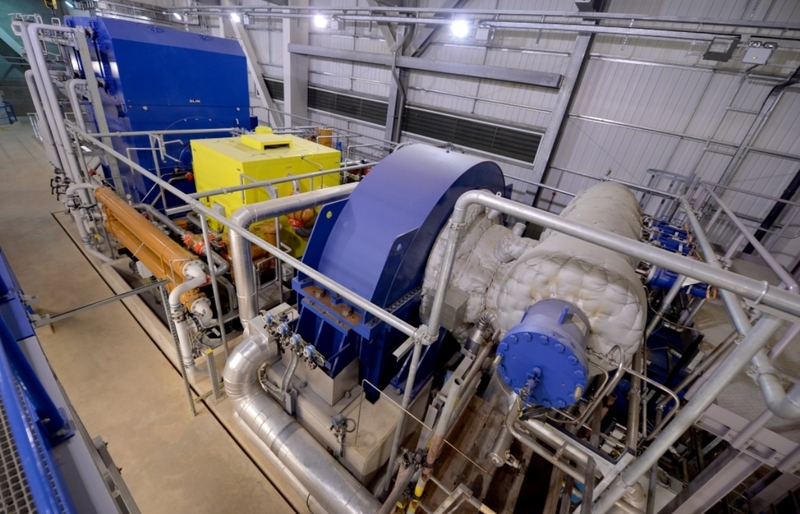 This turns the turbine, generating electricity which is fed into the national grid. 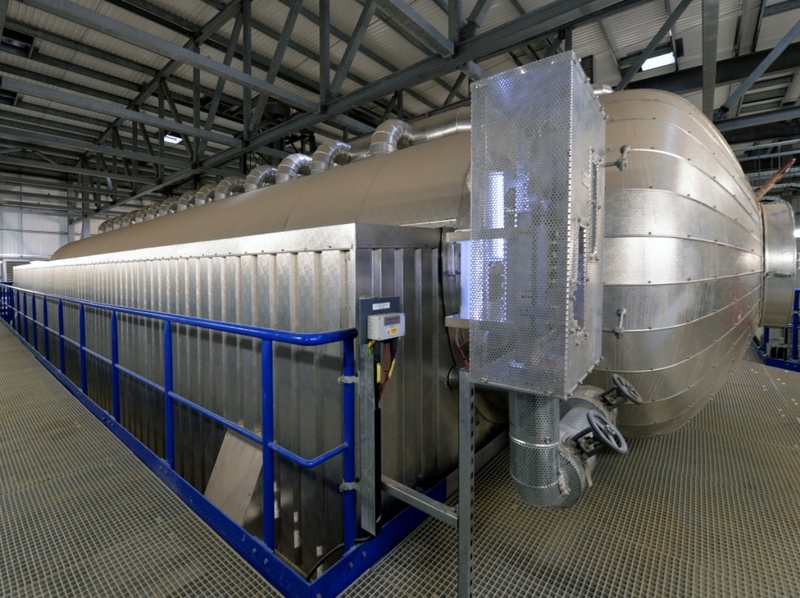 The steam is cooled by condenser fans, which use cold air from outside to cool the steam and turn it back into water, so that it can be pumped back to the boiler. 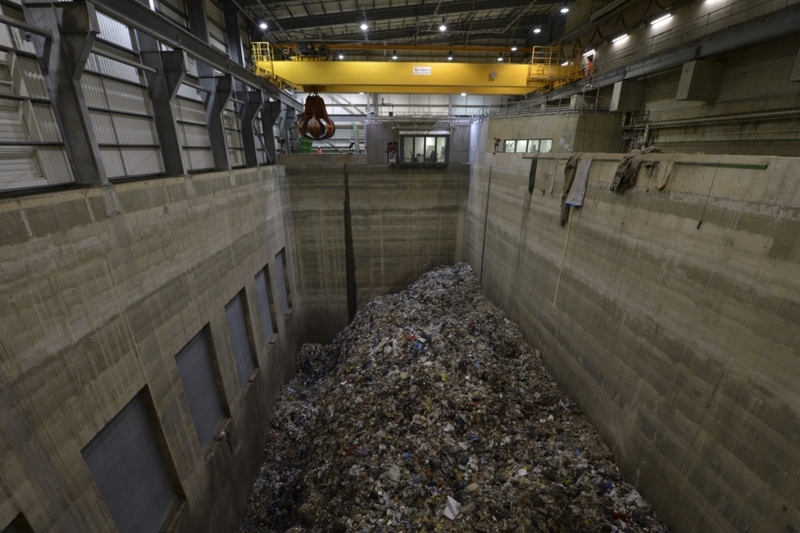 The Greatmoor EfW is located within the wider existing Calvert waste management site. The Calvert landfill site was historically a site of brick manufacture which opened in 1900. 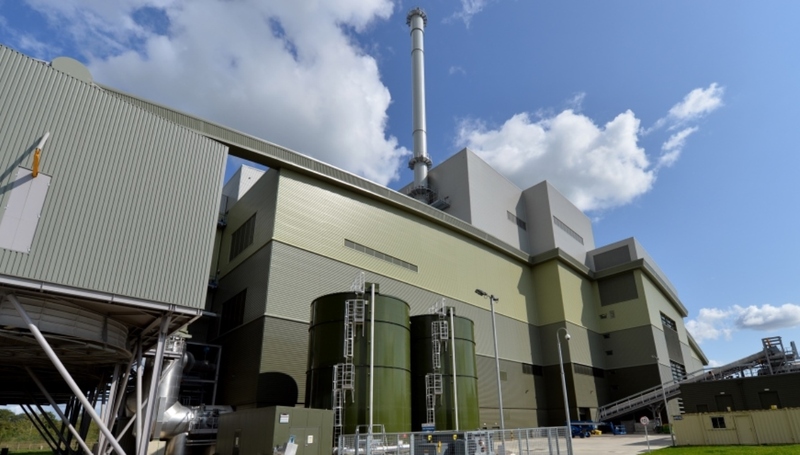 The site was identified in the Buckinghamshire Minerals and Waste Core Strategy 2012 and benefits from a rail siding providing the option to import waste via the rail network. All vehicles arriving at the site must be covered to prevent litter spread and FCC vehicles have trackers on to help easily identify them in the case of any reported problems.